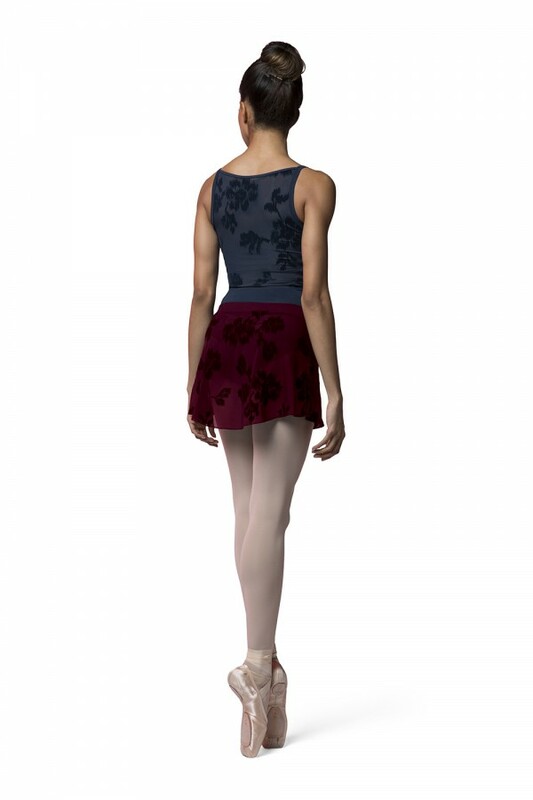 A stunning pull on ballet skirt to dress up any leotard. A solid soft and stretchy waistband sits comfortably at the waist. A beautiful rose flocked mesh falls from the waistband softly to the upper thigh.